Signals hung from span wires were a more common sight in other states, but New Jersey, of course, did this too. Here are some cool examples. 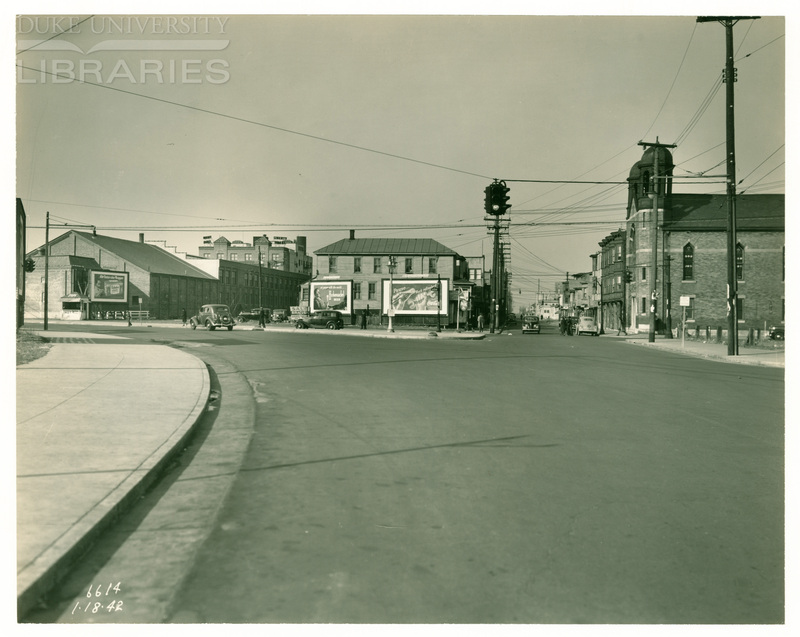 Asbury Park was on the cutting edge of traffic control in the early days. These photos from the RC Maxwell Advertising archives show some of the very early Horni Signal designs that used 6″ lenses. See the RC Maxwell photos on the Pedestals page for more interesting Asbury Park signals from this era. The bustling resort of Atlantic City was home to quite an assortment of early signals. From the treasure trove that is the online RC Maxwell Digital Collection from Duke University, these are some of the span wire installations that I have found. A vintage signal fan’s paradise! For all the images that open up in “slider” mode, I recommend using the “view full size” button (in the lower right corner in full desktop layout) to see these images best. The two images above appear to be of the same light, a 4-way adjustable made by American Gas Accumulator. The AGA lights can usually be recognized by their wide face and distinctive “batwing” cutaway style visors. The 4-way signals above are early 3-bulb fixtures made by Crouse-Hinds. The 3-bulb design necessitates having one direction with the green on top and red on bottom. I don’t know if there was any normal practice as to which side faced the main street versus the side street. The above set of images shows both fixed-face and adjustable 4-ways of the Crouse-Hinds Type D style on span wires. These are newer than the 3-bulb signals in the previous image set, and certainly way more common, but fabulous nonetheless. The amazing photo above wins a prize for most signal variety in a single image. It captures a Crouse-Hinds adjustable Type D 4-way on the span wire, plus an AGA adjustable on the left and a really rare square-lens GE (?) 4-way on the guy wire mast, plus what may be a 3-bulb Crouse-Hinds in the distance. Atlantic City obviously preferred to use dark (I’m guessing green and black) paint as their choice of signal color early on. Click the image for the full size version.